I just adore pastas made with coconut milk. They taste absolutely divine and have that cheesy consistency. Like in this cheesy baked mac and zucchini. Coconut milk is so creamy and rich. 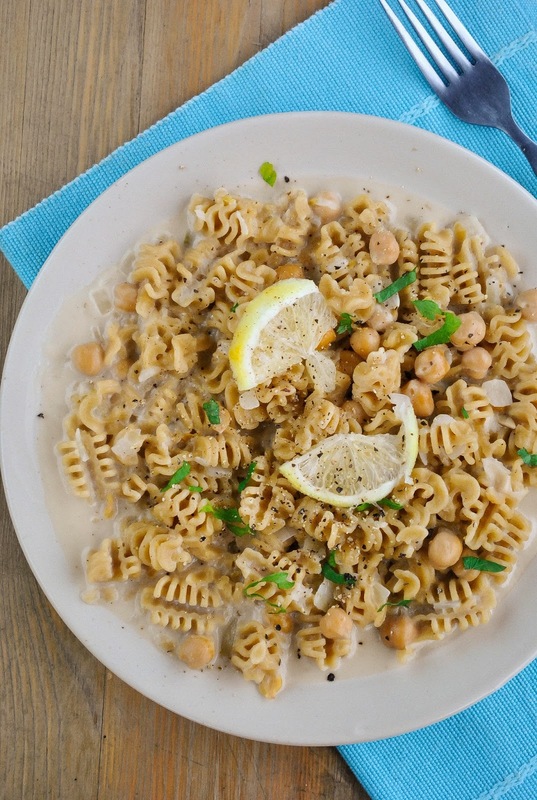 Add some hearty protein rich chickpeas and elegant lemon and you will have a wonderful dinner. Did I mention it is ready in 15 minutes? This time I used whole-wheat pasta, which has a little more rustic texture and taste but it also contains a lot of good stuff like fiber, vitamins, minerals and calcium. But of course you can use regular pasta or gluten-free pasta. It will be tasty either way. Let's get cooking! Heat up some oil in a thick-bottomed pot. Add finely chopped onions, salt and ground black pepper to taste. Cook until the onions are golden brown. Add pasta and boiling water. Boil until the pasta is starting to get softer. 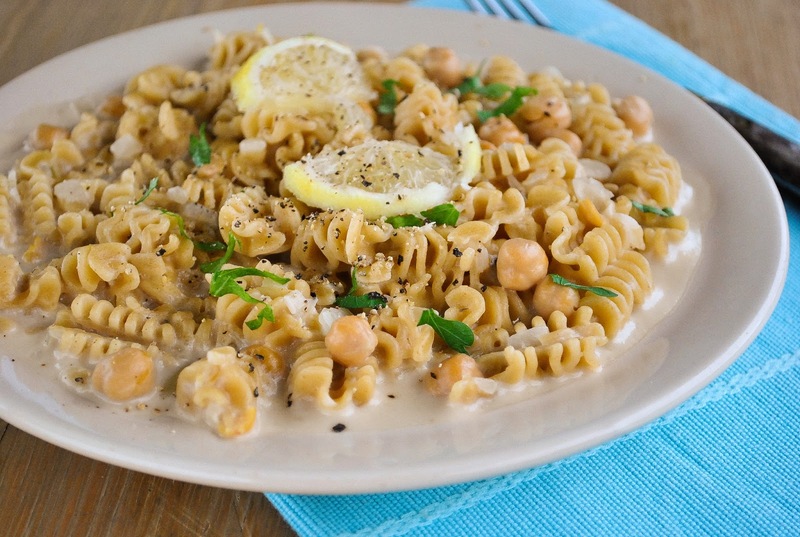 Add coconut milk, drained chickpeas, lemon peel and lemon juice. Stir and boil until the pasta is soft. Add soy sauce and stir. The pasta is now ready but you can wait a couple of minutes until it absorbs in the extra liquid.